LG’s V series boasts quite a handful of dissimilarities compared to its G series flagship smartphones. One of the key differences is the addition of a new Floating Bar that basically allows for an easy access to various apps and more. However, the LG V30’s Floating Bar is a replacement for the second display that the company incorporated in its previous LG V10 and V20 smartphones. Now, you can get the LG V30’s Floating bar on any Android phone. So let’s dive in to see some more details on the matter. The secondary display on the LG V10 and LG V20 was something that its competitors were not offering. While it did boost utility, the display also took a portion of the smartphone’s display. Now that the company has announced its V30 flagship, it has done away with the secondary display to give room to a more bezel-less design. With the secondary display gone, the company implemented the Floating Bar. If you want it on your Android device, there’s an app that let’s make use of it. 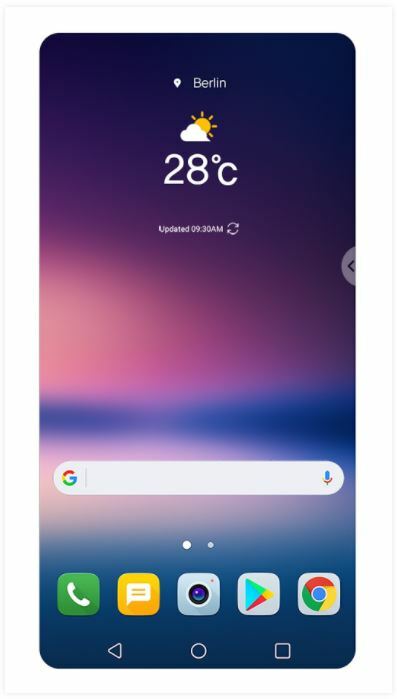 A Reddit user, known by the name of tuannguyenht, has released an application called the Floating Bar LG V30 that mimics the feature of the LG V30. The application is available for all smartphones running Android 4.4 or higher. In addition to this, the best part about the Floating Bar LG V30 app is that it comes with absolutely no charge. However, it does feature in-app purchases. Check out what features are part of the app. The Floating Bar basically gives you access to various shortcuts like apps, websites, different tools, close friends and much more. You have the option available to add up to four categories and each category would feature five shortcuts. Moreover, you can disable or enable any category at will. Furthermore, you can drag the floating bar around the edges of the display. You can swipe through right and left to shift between different categories. This is definitely a pretty neat app if you wish to install it on any Android phone. Since it is available for free to users, there’s no excuse to not give it a swing. There will be more to the story so be sure to stay tuned in for more details. This is it for now, folks. 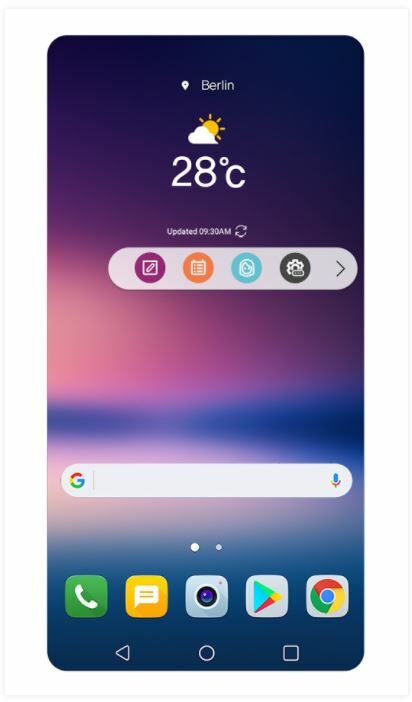 What are your thoughts on the Floating Bar LG V30 app? Do you like having shortcuts readily available to you on your phone? Share your views with us in the comments.